Our new theme for the next three discussions by the Octavia Books Science Fiction Book Club is "The Dying Earth," and the first book is (naturally) The Dying Earth, included in the collection Tales of the Dying Earth along with three sequels by Jack Vance. For December you need only read that first novel; but if sufficient people read more than one, the discussion might follow. Then, for January we'll read The Pastel City by M. John Harrison, collected in Viriconium with three sequels. And, for February, Hothouse by Brian Aldiss. The Science Fiction Book Club meets on the 2nd Saturday each month and welcomes all interested readers. We welcome you to join us! Jack Vance est né en 1916 à San Francisco. Il faillit devenir ingénieur des Mines puis journaliste avant de se tourner vers la littérature à partir de 1945. Depuis il est devenu un auteur très prolifique dont l'œuvre maîtresse est : Le cycle de Tschaï. Probably no other author in the field of science fiction & fantasy has received as much acclaim and as little analysis. Despite having won a Nebula and two Hugo awards (and an Edgar for his mystery writing), Vance's work has received little critical attention. Jack Vance's book Tales from Super-Science Fiction was available from LibraryThing Early Reviewers. 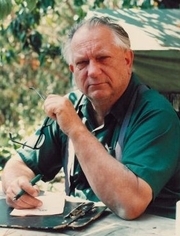 Jack Vance is currently considered a "single author." If one or more works are by a distinct, homonymous authors, go ahead and split the author. Jack Vance is composed of 13 names. You can examine and separate out names.